I received a bit of surprising news late last year, and it’s changed the way I eat. My cardiologist recommended that I have a special blood test, called the Berkeley HeartLab test, to check for advanced cardiovascular risk markers. Not surprisingly, I had several. Just over three years ago, I considered myself a healthy, non-smoking, average-weight, 44-year-old woman who had a young child, a spouse, and a challenging job. Then, three days after my daughter’s third birthday, I woke up around 1 a.m., vomiting and faint, with both arms numb from fingers to shoulder. Luckily for me, Pat works in medicine and knows the symptoms of a heart attack. I didn’t even want to call 911, thinking I just had a bad case of the flu, but she immediately called an ambulance to the house. To make a very long story short, I almost died four times during the next month. I don’t simply mean that I was afraid that I would die, although that was also true; I’m talking near-death experience — white light at the end of a dark tunnel — and in fact, my heart did stop briefly that night before I was revived. Because of that heart attack and resulting medical complications, I now have congestive heart failure, also known as cardiomyopathy. Since I never had any known risk for a heart attack — no high cholesterol, no high blood pressure, no addictions, no weight issues — my doctors were perplexed, as was I. Ultimately, I found a great cardiologist, who sleuthed out the fact that genetics played a significant role in my heart problems, along with my work-related stress and insomnia. That Berkeley HeartLab test I had last October confirmed that not only do I have a genetic propensity for sticky, dense, artery-clogging cholesterol, but I’m also at high risk for metabolic syndrome and Type 2 diabetes. [%image "reference-image" width=400 float=left caption="Zevia is a soda Cindy can drink."] This was harsh news for someone who enjoys food and cooking as much as I do. However, having one serious disease at a young age is more than enough for me, thank you. I asked my doctor to help me find a way to prevent diabetes. Enter Ellen, who is now my nutritionist. Ellen is consistently upbeat, always encouraging, and weighs about 92 pounds. She’s a woman with a plan — and her plan is to get me to eat the perfect diet for my body so I will stay healthy. The diet she’s created for me is to eat low-glycemic and high-protein foods, along with plenty of fruit and vegetables. Breads, crackers, cookies, muffins, croissants, or any other processed grains are to be avoided as much as possible, along with dairy products. Around 25 percent of my total calories can come from fats. Since, if I had my druthers, I would live off of bread and cheese, it’s been a major challenge for me to change my eating habits. Ellen knows that it’s difficult to ask a person to make significant dietary changes in midlife, so she has a number of tricks to make it less painful. For example, I’ve switched to goat-milk yogurt because it contains a lot less sugar than cow-milk yogurt. She has me mix in an equal amount of unsweetened soy yogurt, thus getting the yogurt flavor I like with even less saturated fat and sugar. I dilute cow milk with about 30 percent soy milk. I dip vegetables in my hummus instead of pita bread. It all adds up to a healthier body, according to Ellen. Since November, I have lost 10 pounds by eating according to Ellen’s plan. My waist is about two inches smaller. That’s pretty strong motivation to keep with the plan. I also feel happy, enjoy my meals, and do not feel hungry or deprived. That is why I’ve been exploring the world of low-glycemic-index foods during the past few months. To my surprise, I have found a few great choices out there. [%image bliss float=right width=300 caption="An ice-cream alternative."] I love the occasional dish of ice cream, and in my quest to find a non-dairy, low-sugar alternative, I’ve tasted a lot of stinkers. I had about given up, until my friend Judith, who’s allergic to dairy, served Luna &amp; Larry's Coconut Bliss for dessert last weekend. This amazing stuff has the flavor and texture of a premium ice cream, but get this: It’s vegan, it’s organic, and it has only five ingredients. Made in Eugene, Oregon, Coconut Bliss is made from coconut milk, which gives it a creamy texture, and agave syrup, which makes it low-glycemic. I’ve loved both the Dark Chocolate and the Naked Coconut flavors and — why are you still sitting there reading? 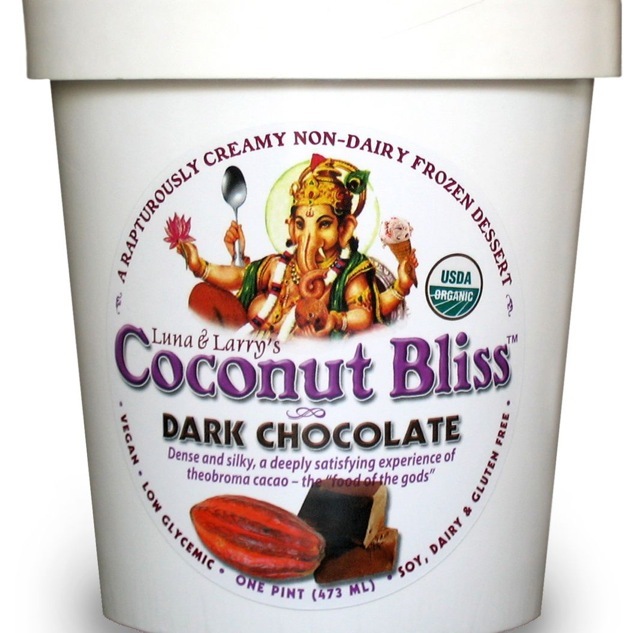 Find a store and load up on this stuff because it is the best non-dairy no-sugar “ice cream” you’ve ever tasted. SteviaPlus non-sugar sweetener has zero calories, rates zero on the glycemic index, and contains zero artificial chemical ingredients. This white powder comes from the stevia plant, an herb which is many times sweeter than sugar. I always dislike that icky fake-sugar taste from artificial sweeteners, but stevia is sweet and subtle. I put it in my morning cup of tea along with the cow milk/soy milk combo. It does taste a little different than a spoonful of sugar and milk, but it’s almost as good. I’m not a soda drinker, but once in a while, a cold one hits the spot. The high-fructose corn syrup in regular soda is definitely not a healthy choice for me, but I’ve never liked the chemical taste and additives of diet soda. Happily, I’ve found a new natural, no-sugar soda called Zevia, which is sweetened with stevia and does not contain any artificial sugar substitutes — no aspartame (Nutrasweet), no sucralose (Splenda), and no saccharin (Sweet'N Low). Zevia, made in Seattle, comes in three flavors: cola (my favorite), twist (a lemon-lime flavor), and orange. 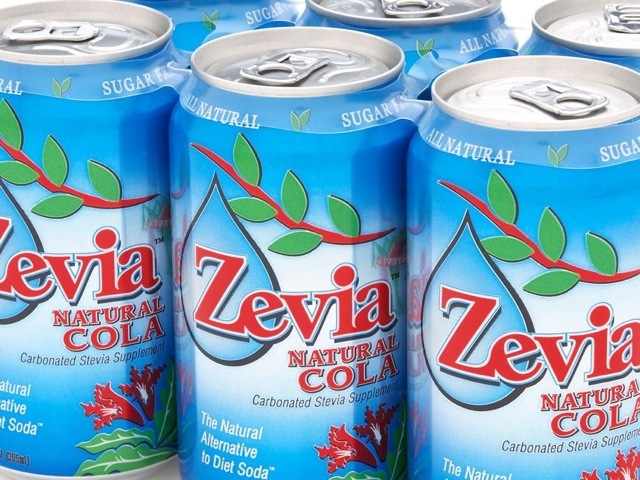 Zevia sodas have a glycemic index of zero, and taste much better than any diet soda I’ve tasted. Men’s Bread is a super high-protein organic bread made by Minneapolis-based French Meadow Bakery, an organic company committed to cultivation and other stewardship methods that preserve and enhance land. While I’m not a man, this bread does allow me to eat a sandwich on occasion. I don’t eat this bread plain because I’m not fond of the taste of flaxseeds, but in a sandwich, or as a piece of toast with peanut butter, it’s very good.